Are You Watching for Signs of the End Times? John Claeys was also selected to be a regular contributor to ChristianPost.com which has over 2 million unique visitors a month! If you would like to read his 2012 Alerts, go HERE and subscribe! 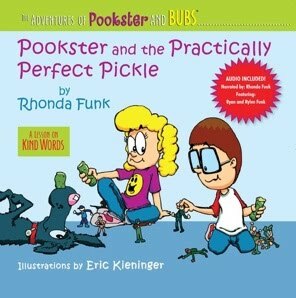 I love to find books that teach great Christian values to both of my boys, so I was excited to be able to review two books in the Adventures of Pookster and Bubs series by Rhonda Funk. My oldest son came up the phrase "Pickles and Prune Juice", so I thought that he would enjoy reading Pookster and the Practically Perfect Pickle. In this book, we learn that Pookster loves pickles. However, one day while eating her practically perfect pickle, her brother came along with his G.I. Joe soldiers. While all her brother wanted to do was play with his soldiers, Pookster thought for sure he was trying to take away her pickle. She yelled at him and knocked down his soldiers. As a result, her mom took away her pickle. Her mom explained to her that while pickles were pretty, they were also sour, just like she was at that moment. Although Pookster may be pretty, she used sour words that hurt her brother's feelings. She apologized and was given back her pickle. This book reminded me of my two boys and while they may be cute at times, they can also be unkind to each other and say hurtful words. This book teaches a great lesson and reminds us that our words should glorify God and not be used to hurt others. At the end of the book, there is a Bible verse from Proverbs 16:24: Pleasant words are a honeycomb, sweet to the soul and healing to the bones. 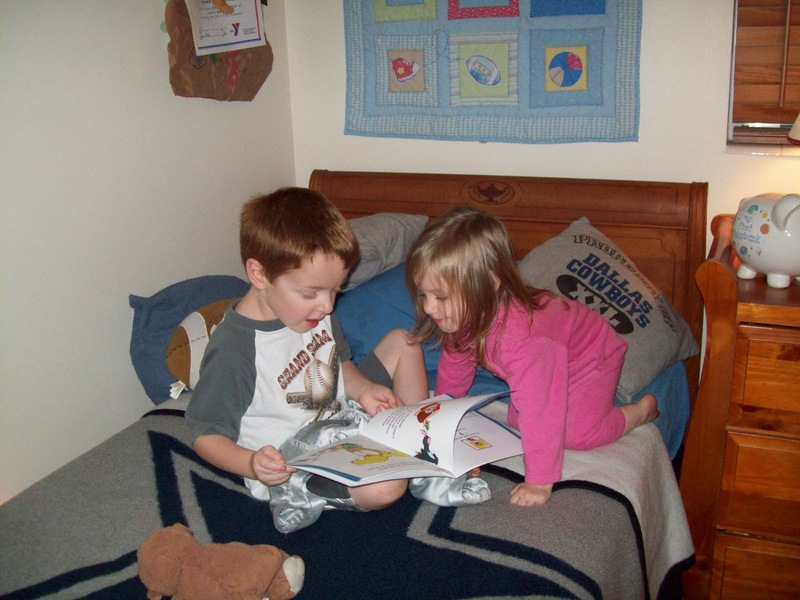 In the second book we read, Pookster and the Unloose Tooth, Pookster learns about patience. Pookster believes that as soon as a tooth shows any movement it should be removed. Pookster even prays that God would help her lose her two front teeth before Christmas. In fall, when she didn't expect it, one of her front teeth became loose and fell out. But her other tooth was not ready. This was not acceptable to Pookster, who with the help of her big sister, tied dental floss to a door and her tooth and then kicked the door. Although the tooth did come out before Christmas, by Spring Pookster was now praying that she could have her two front teeth back. Pookster learns that God's timing is perfect. The story ends with Isaiah 40:31: But they that wait upon the LORD shall renew their strength; they shall mount up with wings as eagles; they shall run, and not be weary; and they shall walk, and not faint. This lesson is such a hard one for both children and adults to learn. God's timing is quite often different than our timing-but His is perfect! Both boys enjoyed reading these books, but their favorite was Pookster and the Practically Perfect Pickle. I thought the stories were just perfect to teach kids about kind words and patience. I loved that at the end of each story, Pookster shares what she has learned from her experience. These books also come with a read-along CD. You can buy both books at The Adventures of Pookster and Bubs website for $11.99 plus shipping. They are also available at Amazon, Borders, Barnes and Nobles, and CBD. Disclosure: I received a copy of both books to review. No other compensation was received. All opinions are my own and are my honest opinion of the books. This is a modern-day twist to Charles Dickens' A Christmas Carol. Uncle Eben isn't the bah humbug that Scrooge is. He just doesn't want to include the religious aspect into the Christmas season. He loves Christmas and gets caught up in it but without the Christ. He just doesn't want to offend anyone. A few days before Christmas he meets up with the Witness who shows him his past, present and future if he continues on the road he's on. It is a very cute fun read for the whole family. It isn't a real long book only about 100 pages. The plot and setting moved smoothly and had a Christmas feel about it. Very easy and quick to read. I loved it. Are you feeling a little let down now that all the fun festivities of Christmas are over? I know sometimes I feel that way, living in the midwest...hearing the snow blowing outside, not seeing the sun shine for days, breathing in frigid air every time I step outside. Winter is not my favorite season, but at least we have Christmas to bring some joy into the dreariness. Sadly, when Christmas is over, lots of us lose that feeling of love, joy, merriment, and feeling blessed. I have a wonderful book to share with you today that I can guarantee you will snap you out of feeling sorry for yourself, forgetting how blessed you are, and give you renewed hope and joy! 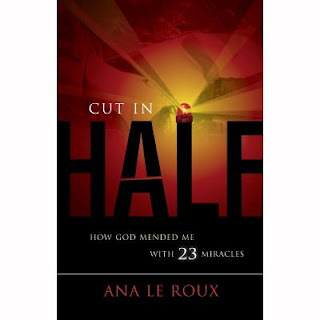 The book, "Cut In Half," is the unforgettable true story of Ana le Roux, an average thirty something mother. But three weeks after giving birth to her second child tragedy struck--the unimaginable--a violent head on collision. The force of impact thrust her forward with such intensity that it literally cut her in half! Ana le Roux would tell you she was set to die that day but instead, God blessed her with miracle after miracle to heal her body. In her awe inspiring testament of God’s love, Ana proves that miracles are not just an archaic phenomenon found in scripture; they really do happen every day in a variety of ways. This book immediately caught my attention because, in the story, Ana is in a very similar situation to me - we are both mothers of two, about the same age, both of our second children were born in December, and we both felt confident in our faith. I could relate to her as she started out her story. As she retold her story about her terrible car accident and injuries, I found myself constantly counting my blessings, thanking God for each one, and realizing that my own faith is quite weak, because I don't know if I could have faced this kind of tragedy as well as she did. It is shocking what this amazing woman went through, and it will inspire you! 3. "Soul Searching" to help make readers part of the experience by giving us a chance to reflect on our own lives and see all the wonderful things God has done for us. I really appreciated each section of each chapter. It made the story even more meaningful for me, and I know it will do the same for you. I hope you all take time to read this book. It only took me three days to finish this gripping story, so take a little time and be awed and inspired by "Cut in Half." You can find and purchase it here. Thanks to ALL 25 of you who Entered! Even though you didn't win, you can still request a book to review! We are drawing the WINNERS TOMORROW!!! 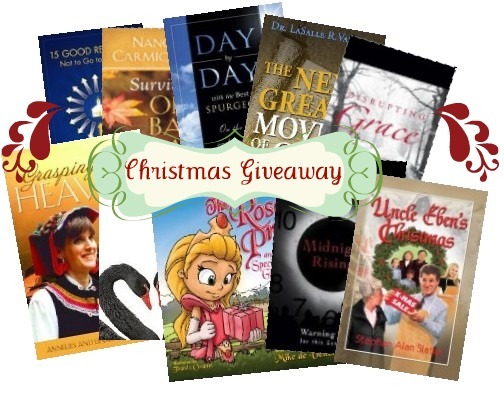 don't miss out on this giveaway! So how do you enter to win one of these awesome gifts? * 'Like' Bring It On! Communications on Facebook! * Follow BringItOnComm on Twitter! * Follow Us on our Blog! * 'Like' Deep River Books on Facebook! * Follow Deep River Books on Twitter! please comment on our blog, Tell Us The Truth Reviews saying what you did and where! Winners will be selected randomly out of a hat! Find the key to godly success in faith, family, finances, and fellowship with Him. Many Christians have understood the topic of salvation, but have never contemplated the Jewishness of Jesus. Understanding the culture in which Jesus lived will help you properly interpret the Bible. 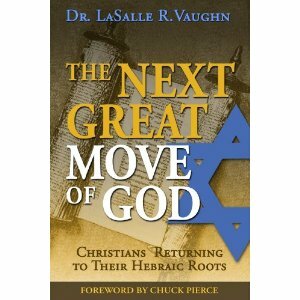 The Next Great Move of God: Christians Returning to Their Hebriac Roots will open your eyes to the Jewish world of Jesus. This profound book reveals that the Christian life is much more than salvation; it's a lifestyle of obedience to the entire Bible from Genesis to Revelation." You've received God's salvation...but find yourself frustrated and struggling in certain areas of your life. Your new found obedience to previously hidden meanings in the Scriptures will transform your life. Just a few weeks ago, my husband and I were discussing with my in laws how nice it would be to be able to take classes in Hebrew history,so we could understand the culture of Jesus' time. It is just impossible to find the time though, nor the extra finances to take a college course in this. This book has been a great resource and arrived just in time! This book is very easy to understand and made me think about Bible passages in ways that I hadn't before. Dr. Vaughn writes about the Ark of the Covenant, Sukkoth, Yom Kippur, and lots of other topics in this book. There are Biblical references for everything he discusses, which is very important to me. I was not born Jewish and have no close friends who are Jewish, so I have never heard the history behind many of the Jewish holidays and symbols. It was very interesting to read about these things because I have always been curious! Although I may not agree with every single one of his points and interpretations, I'd definitely recommend it to anyone who desires to learn more about the Hebraic roots of Christianity! 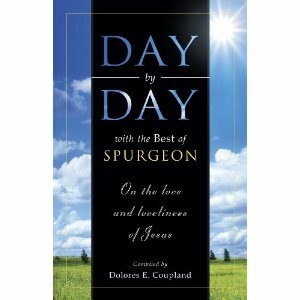 This is a nice size book that a lot of Charles Haddon Spurgeon's messages were complied by Dolores E Copeland into this book. It is a day by day devotional that you can use alone with your Bible study . The book starts out with Jan. 1 and goes until Dec. 31 with a different devotional every day. It has 366 pages so it will keep you busy. Each day starts out with a scripture and then goes on to explain his idea of what that scripture means. This would be a nice book for your own study or as a gift. "Charles Haddon Spurgeon ( 1834-1892) was born in Essex England, and is recognized by all Christendom as the "Prince of Preachers." Although he died over a hundred years ago he is still one of the most widely read Christian authors. His accomplishments are astounding considering his relatively short life. He preached his first sermon at the age of 16, became a pastor at 17, and in his twenties was already preaching to thousands in his famous Metropolitan Tabernacle in London. The number of sermons he preached is amazing-3,563 are published, making up 63 volumes." taken from back of book. Eben Johnson, the owner of a home-improvement store forbids his employees to say "Merry Christmas", and winds up in a "Christmas Carol" experience, where he faces some sobering realities in a dream - or is it a dream? Taking a journey into the past, present, and future, Eben gets a more relevant experience than that of the Dickens' story - one that asks an eternal question that we should all ask ourselves: are we individually ready for that which is beyond the grave? Uncle Even's Christmas looks at the state of an unbeliever who profits from Christmas, yet fives none of the glory to God. It's a story of one man who is surrounded by Christians who he finds as poor, deluded, misguided individuals, yet is in his own bleak sate about to get the wake-up call of a lifetime! Although Uncle Eben's Christmas has a Christmas Carol feel to it, don't write it off as "been there, read that". Uncle Eben's Christmas goes far beyond a Christmas Carol. The book starts out by following Uncle Eben around his store, where he is considering firing an employee for saying "Merry Christmas" to a customer. You also read about him spending time with his sister and her 2 children, that adore him, and he them. Then Uncle Eben is visited by an Angel. The Angel takes Uncle Eben to the past, in the church where he made the decision NOT to follow Christ. Then shows him how the decision effects his present. And finally, the Angel shows Uncle Eben what his future will be like without a Saviour. I really enjoyed reading Uncle Eben's Christmas. It is a quick read, at just over a hundred pages. Just the right size for reading during this busy time of the year. It would also make a great family read aloud. There are lots of discussions opportunities available when reading this book. I recommend Uncle Eben's Christmas for the whole family. I got an email from Arielle at Bring It On Communications asking if I would review some of their available books. I was so excited to see a few titles catch my eye and know that I would get to read them! I LOVE Sheri Rose Shepherd and my girls and I have truly enjoyed reading her devotional for girls together. (thanks, Stacey!) Bring It On Communications had another of Sheri Rose Shepherd's books for review and I knew I had to choose it! Fit for my King is a devotional style, 1 month book with recipes, scripture, prayers, and challenges for us as women. Sheri shares her story through heartwarming stories and deep treasures of truth. I've read through many of the daily readings and I'm challenged to take a month and live out the 30-day journey she writes about in this book! The recipes are simple and use everyday healthy ingredients. Many of them gluten free! I will be using some of them for sure. I specifically like how Sheri talks about reasons we eat, discouragment or guilt or depression. She shows us through her personal journey and through God's Word how we can allow God to heal those hurt areas of our lives and ask Him to help us be fit for Him mentally, spiritually and physically. "It's time to become the best version of you! God loves you and will be with you every step of the way!" I also chose Surviving One Bad Year by Nancie Carmichael. I was really excited about this book because theyear 2010 has been one of struggle and difficulty for me. Many changes in my health, eating habits and even in how I think about health and food have left me clinging to God and asking Him for strength. As I've read this book, I have found encouragement, help and inspiration. The back of the book says, "When difficult times come - and they come to us all - it helps to know that you are not alone, that you will survive, and that there will be an end to your crisis." The pages of this book are filled with encouraging Bible verses and inspirational quotes along with practical help and biblical teachings. I am thankful for this book and I am going to read it a second time, maybe even a third time. It's just been that kind of year... God is so faithful to send encouragement when we need it! I have received 2 sets of books to review from Bring it on Communications. The first set of books I read was from the Adventures of Pookster and Bubs. They are Pookster and the Unloose Tooth and Pookster and the Practically Perfect Pickle. They are both written by Rhonda Funk, are published by Fish Pond - a division of Carmichael Publishing Sisters, and were printed in 2010. If you would like to get these books for yourself after reading my review, here are the ISBN#'s: 1-935265-40-7, 1-935265-41-5. You can buy them from Amazon.com for about $10. The Adventures of Pookster and Bubs includes a CD and is a children's series that teaches kids different aspects of the fruits of the spirit. They are about a brother, Bubs, and his sister, Pookster, and different situations they encounter in life and they learn how to deal with them God's way. Each book ends with a Scripture. Pookster and the Unloose Tooth is about how Pookster really wants to be able to sing "All I want for Christmas is My Two Front Teeth," and really mean it. She tries different ways of making her teeth come out and finally succeeds. She finds out that because her teeth weren't ready to come out, it takes a very long time for them to grow back in, and she's not happy about that. So, the fruit of the spirit that she learns is patience. Pookster and the Practically Perfect Pickle is about how much Pookster loves to eat pickles and doesn't want anyone bothering her while she's eating the perfect pickle. When she thinks her brother is bothering her, she says some pretty mean things to him, and gets her pickle taken away from her, by her mom. Pookster apologizes to her brother and finds out he didn't want to take her pickle, he just wanted to play with her. So, the fruit of the spirit she learns is about kind words. My 4 year old son and I listened to these books together. The first time we read them, I wondered why it didn't have page turn signals. When I took the cd out, I looked at it closer, and saw that the turn signals are on the second track. The turn signals are not the usual beep, it's a different sound, and unless you're actually reading the words to the book, you wouldn't realize it's time to turn the page, because there are also other background sounds going on that correspond to the story. Overall, my son and I did like these books. I really like the positive message of the stories and the Scripture at the end. My son thought the sound effects and some parts of the story were funny - they made him laugh. I don't think he really "got" the message about the fruit of the spirit, but an older child - maybe 6 or older, probably would. I would definitely read more books in this series with my 4 year old, and I would definitely read them again with him when he's older, so he can really "get" the message. You should check these books out for yourself, and get them for your child:Here's the link to the Pookster and Bubs store. A beautiful book for children and I want to think Bring It On for sending me this book for review. 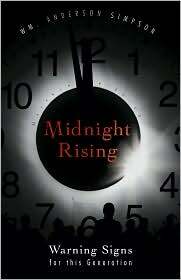 Midnight Rising was sent to me thanks to the author William Anderson Simpson and Bring It On! Communications. Avoiding the usual end time "signs"--earthquakes in various places, wars and rumors of wars, Midnight Rising focuses on less bandied indicators. Wm. Anderson Simpson points to specific geo-political alliances that are to be in place during the tribulation, the worldwide acclaim for the Antichrist, the traveling to and fro of many, and--what struck the chord in the hearts of the Evangelicals--the financial crisis of 2009 and the meteoric rise to world acclaim of our current president. Unveiling signs not commonly discussed in relation to this topic, Simpson makes a strong argument for the correctness in the Evangelical's call to action. There is an urgent call for teaching and preaching concerning things about to burst forth onto the world stage. If you truly believe the rapture is near-shouldn't you be gleaning some understanding of the times and seasons? . 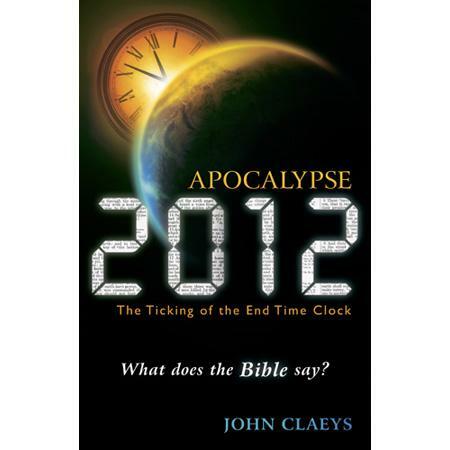 This book is about the end times and prophecy according to the Bible. It has an interesting take on how most current events in the United States, their relationship with other countries, and peace talks with Israel are fufilling bible prophecies. It is a must read if you enjoy books about bible phrophecy in relation to current events. The author gives scripture references to back up his theories. It seems as though the author's intent is to prompt you into realizing the end times are fast approaching. To find out more about this book and a little bit about the author check out his website athttp://www.midnightrisingbook.net/ . Disclosure: This book was sent to me in exchange for review. This is my honest opinion. To view my full disclosure please click on the link at the top of the page. Recently I had the opportunity to read Uncle Eben’s Christmas by Stephen Alan Slater. Eben Johnson is a business man. He is the owner of a very successful home-improvement store. He loves the Christmas season but not because of it’s true meaning, the birth of Jesus. He loves it because it brings many customers to his store and the profits it brings him. Eben is an atheist. He does not believe in the Christ of Christmas. Eben forbids his employees to say “Merry Christmas” to the store customers and insists they say “Happy Holidays” instead. Eben’s sister Hannah has been praying for Eben to come to Christ for many years to no avail. While Eben attends the annual Christmas Cantata because his niece and nephew are participants he really does not feel comfortable being in church or speaking with the pastor. His mind is on his business and how he can increase his profit margin. Until Christmas eve when he gets a glimpse into his past, present and future. This visit is sure to change his life completely! I found this book very enjoyable! It is an easy and fun read and yet delves into the true meaning of Christmas and the choices we make with our eternal lives. Mr. Slater took the old classic A Christmas Carol and gave it a new twist. Eben has a visitor on Christmas eve that takes him on a journey to his past, present and future. He sees how bleak his future will be if he continues down the path he is on. These events are life changing for him. He realizes that he needs God and that Jesus is there just waiting for him to invite him into his heart! 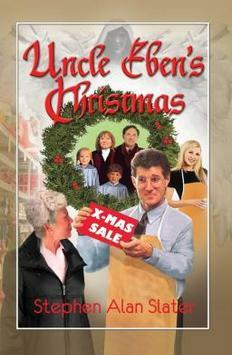 Uncle Eben’s Christmas is available at Deep River Books andAmazon. disclosure: I received this book from Bring It On Communications for review purposes. All opinions and posts on this blog are my own. Bring It On! 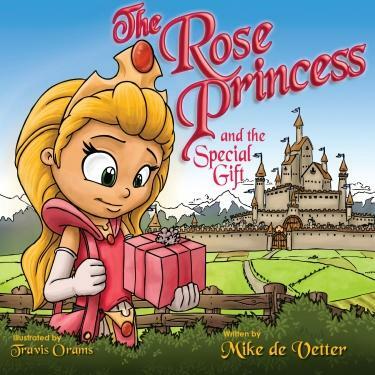 communications is proud to announce a special gift offer from Deep River Books for the holidays! They are giving away 3 gift baskets stuffed full of books for Christmas! Each one will have 10 of their newest titles for you to enjoy for the year to come. 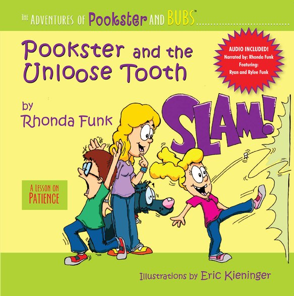 Recently, I was sent a set of Christian Children's Books to review that are part of the The Adventures of Pookster and Bubs series by Rhonda Funk. Since I am always looking for books to read to my children, I was excited to be exposed to something new. The Adventures of Pookster and Bubs series contain lessons in virtues, and quote scripture at the end of each story that relate to the lesson. The two books I was sent were Pookster and the Unloose Tooth,which teaches a lesson involving Patience, and Pookster and the Practically Perfect Pickle, which is a lesson in using Kind Words. 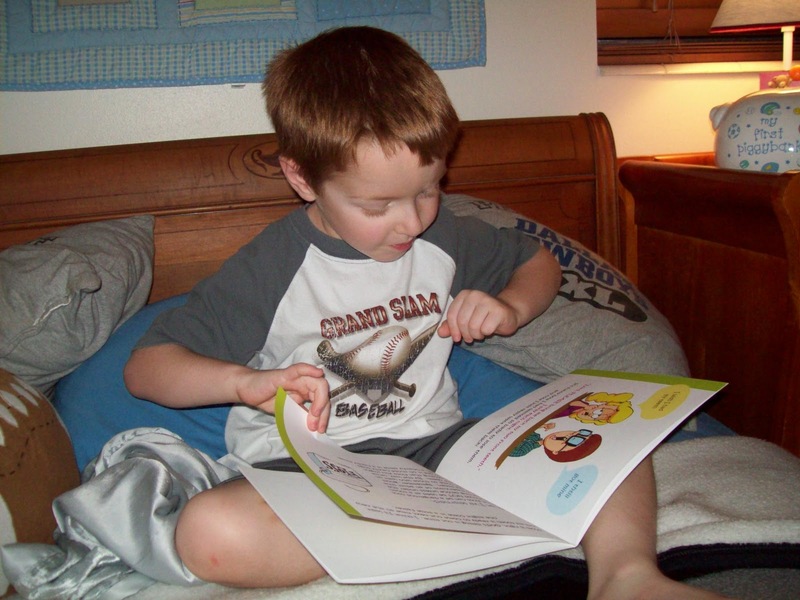 The books are recommended for age 5 and up; my son happens to be 4 but he had no problem with grasping the concepts. He liked both of these books, but what he really liked was the narration on the enclosed CDs. I could tell that he though it was neat that there were children's voices and it really kept his attention. What I really liked about the books was the dynamics of a brother sister relationship and the use of Christian principles to teach problem solving. You can shop online at Pookster and Bubs or you can also find them at Amazon, Barnes and Noble, Borders, and CBD. At Home Moma did not receive compensation for this review but was provided books for free to review. The opinions expressed in this review are that of my own.